Nokia is the world's second biggest manufacturer of mobile phones, having been overtaken by Samsung. Its market share in the key smartphone sector has diminished and its hopes are now pinned on its future with Microsoft. The Nokia 130 is cheap and basic, but with very long battery life. A cheap, funky, featherweight phone that's tough and has superb battery life. The Nokia Lumia 930 is an almost perfect WP8.1 smartphone. It's a beautiful, premium device with a curved edge to the screen - and it's a stunning 5 inch Full HD OLED screen at that. With a quadcore processor, 20MP camera and 4G it's a powerful device, but we've deducted one star for battery life and excessive weight. 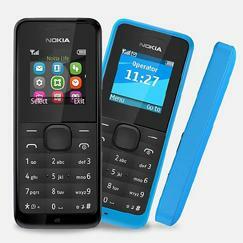 The Nokia 108 is a cheap, basic phone with an alphanumeric keypad, a basic camera and an FM radio. Nokia 100 review - If you want to call and text and nothing else, this is really as cheap as it gets! Nokia 106 review - The Nokia 106 is ideal if you're looking for a cheap, basic phone. It's lightweight and tough and has all the basics covered. Nokia 1100 review - The Nokia 1100 is an entry-level phone, designed with simplicity and reliability in mind. Nokia 1110 review - The Nokia 1110 is an entry-level phone designed with simplicity and ease of use in mind. Nokia 113 review - The Nokia 113 is a very cheap phone with a numeric keypad and a simple camera. It also comes with the benefit of an FM radio and a music player. Nokia 1200 review - If you are looking for a really basic, cheap phone with outstanding battery life, then the Nokia 1200 could be the phone for you. Nokia 1600 review - The Nokia 1600 is an entry-level phone. It looks smart with its chrome detailing and compact size. Its very lightweight too. Nokia 1650 review - The Nokia 1650 is a good phone for those looking for something simple, just to make calls. Nokia 2100 review - The Nokia 2100 is a cheap entry-level phone with basic features. It has been designed to be a practical and fun phone, with ease of use as its main selling point. 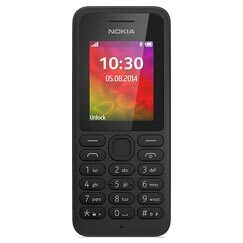 Nokia 215 review - The Nokia 215 is a basic phone with an old-style keyboard and a small screen, capable of sending SMS/MMS messages, and accessing Twitter and Facebook, in addition to making voice calls. A stereo FM radio is included, as well as a music player and a basic camera. It's compact, lightweight, and very cheap. Nokia 220 review - The Nokia 220 is a low-cost phone with an alphanumeric keypad, a camera, music player and an FM radio. Its larger-than-average colour screen and long battery life make this an excellent choice for a backup phone. Nokia 225 review - The Nokia 225 is the best of Nokia's old-style phones with alphanumeric keypads. It's a refinement of the Nokia 220, but with a larger display, better battery life and a slimmer body. Nokia 2300 review - The Nokia 2300 is a very basic phone. The display is black and white with very low resolution, and there are few features. A radio is included, but it is mono only. One of the biggest problems with the 2300 is the weird keypad design that uses joined-up and overlapping keys. Not easy to use, not very reliable, and not recommended! Nokia 2310 review - The Nokia 2310 is an entry-level phone without a camera. Nokia are the only manufacturer still making these kinds of very basic phones, so to be honest there isn't a lot of competition! Nokia 2600 Classic review - The Nokia 2600 Classic is a very basic camera phone priced at well below �100. With a basic VGA camera and no music player, this is best suited as a first phone for a young teenager. The FM radio, good battery life and practical keypad layout for texting make this phone worth a look. Nokia 2600 review - Available in the UK from September 2004, the Nokia 2600 is another "back to basics" phone from Nokia: no camera, no radio, a basic colour screen and, mercifully, a conventional keypad layout! Nokia 2610 review - The Nokia 2610 is an entry-level phone without a camera. Nokia 2630 review - The Nokia 2630 is a superslim, ultra-lightweight phone that's cheap to buy and has a built-in FM radio. Nokia 2650 review - The Nokia 2650 clamshell phone, released in October 2004, has the kind of specification that Nokia's rivals were releasing over a year earlier. Nokia 2652 review - The Nokia 2652 is an updated version of the Nokia 2650 fold-design phone, available in the new "Cell" and "Fleur" motifs with silver chrome detailing. Nokia 3100 review - The Nokia 3100 comes with a cool glow-in-the-dark cover. Never lose your phone in the dark ever again! Nokia 3109 Classic review - A highly recommended phone for those who don't want a camera in their phone. Nokia 3110 Classic review - This is a great entry-level phone from Nokia. A classic user-friendly design, built to last and with excellent battery life, it will get on with the job without any trouble. It includes a camera, MP3 player and FM radio and has the benefits of an expandable memory card, Bluetooth connectivity and triband. The 3110 offers exceptional value for money. Nokia 3110 Evolve review - The 3110 Evolve is the same as the 3110 Classic, but has environmentally-friendly street cred too. Nokia 3120 Classic review - This is a good entry-level 3G phone with a classic user-friendly design. Features include a 2 megapixel camera with flash, MP3 player and FM radio. With the capacity to expand its memory to 4 GB, and with reasonable battery life, this is a recommended phone for those who don't need to have the latest gadget-laden fashion phone. Nokia 3120 review - The Nokia 3120 is a compact and basic phone with a smart metallic finish and a conventional design. Nokia 3200 review - The "cool feature" of the Nokia 3200 is that you can create your own custom covers, using photos or your own design or artwork. Nokia 3220 review - The Nokia 3220 is being marketed as a fun camera phone, targeted at the youth sector. Nokia 3230 review - The Nokia 3230 is a budget Symbian smartphone. Nokia 3250 review - The Nokia 3250 smartphone is an excellent music player phone. Nokia 3300 review - The Nokia 3300 music phone is packed with music features like an MP3 player, stereo FM radio, and a digital recorder. Nokia 3310 review - The classic Nokia "brick" phone! Nokia 3410 review - The Nokia 3410 was the replacement for the hugely-popular Nokia 3210/3310/3330 series. Nokia 3500 Classic review - A fairly basic phone with classic good looks. The 3500 Classic has a 2 megapixel camera, a music player and a stereo FM radio. It supports Bluetooth wireless connectivity and microSD memory cards. An excellent phone if you're on a budget. Nokia 3510 review - The Nokia 3510 was the replacement for the hugely-popular Nokia 3210/3310/3330 phones. Nokia 3510i review - The Nokia 3510i updates the Nokia 3510 with a colour screen and downloadable Java games. Nokia 3600 Slide review - A good budget phone, with battery life the only big let-down. For under 100 pounds you get a lovely ergonomic slide phone with a fantastic 3.2 megapixel autofocus camera, an MP3 player, FM radio, Bluetooth, memory card and applications like Nokia Maps and the Opera web browser. The sales package includes a stereo headset and a 512 MB memory card. Nokia 3650 review - The Nokia 3650 was Nokia's first phone to have an integrated video camera. Nokia 3660 review - The Nokia 3660 is an enhanced version of the 3650. Nokia 5100 review - The Nokia 5100 is the successor to the Nokia 5210, built to be hard wearing, even outdoors. Nokia 5130 XpressMusic review - This is a cheap and cheerful phone from Nokia with an excellent range of features for the price. Available in Red and Blue. Nokia 5140 review - The Nokia 5140 is the latest in Nokia's 5xxx series of durable phones designed to be hard wearing for outdoor and sports activities. Nokia 5140i review - The Nokia 5140i is an uprated version of the 5140, and goes some way to addressing the shortcomings of the 5140. Nokia 515 review - Premium modern design meets the antiquated Series 40 operating system! The Nokia 515 is a smart-looking phone, but can it compete with phones that are truly smart? Nokia 5200 review - The Nokia 5200 looks almost the same as its big brother, the Nokia 5300 XpressMusic. Although the 5200 doesn't carry the XpressMusic branding, it's clearly designed as another music player phone, but is a mid-range phone targeted at the more budget-conscious consumer. Nokia 5210 review - The Nokia 5210 is designed to be hard wearing, even outdoors. Nokia 5220 XpressMusic review - An entry-level music phone that does the business for well under �100. The 5220 has an excellent music player, a stereo FM radio and a 2 megapixel camera. Connectivity is excellent, with Bluetooth, USB and a 3.5 mm headphone jack. Memory is limited, at 30MB, but is expandable to 2GB with a microSD memory card. Nokia 5230 review - The 5230 is an entry-level touchscreen smartphone. Its key features are its large touchscreen, A-GPS with Ovi Maps, 3G, downloadable apps from the Ovi store and outstanding battery life. On the other hand it has a poor camera, a mono speaker, no WiFi and no video calling. But for �50 on PAYG it's a bargain! Nokia 5300 XpressMusic review - Nokia's answer to Sony Ericsson's Walkman range, the 5300 is a slide design music phone that supports all the main digital music formats and has a stereo FM radio too. Nokia 5310 review - This is a good music phone from Nokia that can rival Sony Ericsson's Walkman range. Nokia 5320 XpressMusic review - For reasons best known to themselves, Nokia decided not to release this phone in the UK, and so we will not be reviewing it. Nokia 5500 Sport review - The Nokia 5500 Sport is a gadget-laden smartphone designed for outdoor and sports use. It could have been a great phone, but design faults have made it into a big disappointment. Nokia 5530 XpressMusic review - The 5530 is a mid-range touchscreen music phone. Nokia 5610 XpressMusic review - This is one of the best all-round music phones available. It has everything we want: a great music player, an FM radio, a 3.2 megapixel camera, 3G, a memory expandable to 4 Gbytes, and great ease-of-use. Build quality is the only issue to watch out for. Nokia 5630 XpressMusic review - It looks like the 5630 isn't going to be released in the UK and so we will not be reviewing it. Please see the user reviews below for more information about this phone. Nokia 5700 XpressMusic review - This smartphone with XpressMusic branding offers an outstanding music experience, but has a relatively poor camera. We dislike the joystick and aren't convinced by the twist design. Nokia 5800 XpressMusic review - Nokia's first touchscreen phone is impressively good. Nokia 6020 review - The Nokia 6020 is a mid-range business-orientated camera phone with a decent range of features. Nokia 6021 review - The Nokia 6021 is an excellent non-camera phone, clearly intended for the business user. It's a nice-sized phone that's not heavy, yet not too light. It's design is purposeful and smart, with a functional, well designed keypad. Nokia 6030 review - The Nokia 6030 is a non-camera phone with a smart appearance but limited functionality for the price. Nokia 6060 review - The 6060 is a mundane phone from Nokia, who still seem to have trouble getting their flip phones up to the mark. Nokia 6070 review - The Nokia 6070 is a very basic camera phone. Nokia 6080 review - The Nokia 6080 is a very slightly updated version of the Nokia 6070. Nokia 6085 review - The Nokia 6085 is an entry-level clamshell phone, equipped with a digital camera, music player and FM radio. Nokia 6100 review - An advanced feature-rich lightweight phone. Nokia 6101 review - The Nokia 6101 is a compact camera phone with a clamshell design. Nokia 6103 review - The Nokia 6103 is an updated version of the Nokia 6101. Nokia 6110 Navigator review - A compact alternative to the Nokia N95, the 6110 Navigator is the best GPS-equipped mobile phone we've seen yet. Whilst the 2 megapixel camera disappoints, the 6110 offers almost everything else: a music player, an FM radio, loads of memory, HSDPA, quadband and Bluetooth. This should be top of the list for anyone seriously interested in a GPS-equipped phone. Nokia 6111 review - Slide phone with 1 megapixel camera, video camera, MP3 player, FM radio & Bluetooth�. Nokia 6120 Classic review - A classically designed, lightweight and compact 3G smartphone. Nokia 6124 Classic review - A classically designed 3G smartphone. It's one of the lightest and most compact smartphones available, and probably the easiest to use. Equipped with 3.5G for fast web browsing and downloads, this phone is smart enough to do most things you could ask of a phone. Nokia 6125 review - The Nokia 6125 is a mid-range camera phone designed to be simple and easy-to-use. Nokia 6131 review - The Nokia 6131 is a bit of a mixed bag. It does some things very well and others very badly. Nokia 6136 review - The Nokia 6136 is similar to the 6125 but with the benefit of being able to make Voice Over IP (VOIP) calls via wireless LAN. Nokia 6151 review - The Nokia 6151 is a 3G phone with a classic straight design. Nokia 6170 review - The Nokia 6170 is a clamshell camera phone with a metal case. Nokia 6210 Navigator review - A GPS-equipped phone that offers a large display for browsing, with built-in Nokia Maps and a 6 month navigation license for driving and pedestrian usage. Nokia 6220 Classic review - A super-lightweight 3G smartphone with a massive array of features: 5 megapixel camera with xenon flash, A-GPS navigation with Nokia maps, music player, RDS FM radio, up to 8 GB memory, ... the list goes on. There's almost nothing missing from this phone, and it just loses two stars because of its cheap plastic casing. Nokia 6220 review - The Nokia 6220 is a business class phone that also includes features like a camera and FM radio. Nokia 6230 review - The 6230 is a business class phone that also includes an integrated digital camera, video recorder and a music player. Nokia 6230i review - The Nokia 6230i, released in the first quarter of 2005, is a few years old now and definitely not at the cutting edge, but is a design classic and still a good phone. The fact that it's still in the shops more than two years after launch proves that it's got a lot going for it! Nokia 6233 / 6234 review - The Nokia 6233 (and its twin, the 6234, exclusive to Vodafone) is a 3G phone with looks very similar to the old 6230i. Nokia 6260 review - The Nokia 6260 is a business-orientated smartphone with a range of interesting features. Nokia 6270 review - The Nokia 6270 is a 2G version of the Nokia 6280, although curiously it's larger and heavier than its 3G sister! Nokia 6280 review - The Nokia 6280 is a 3G slide phone. Nokia 6288 review - A 3G slide phone from Nokia, the 6288 is an attractive phone available in a high gloss black or white finish. Nokia 6290 review - The Nokia 6290 was never released in the UK, so we will not be reviewing it. Please read the user reviews below to find out more about this phone. Nokia 6300 review - Our favourite Nokia for years: a classically designed phone with a beautiful stainless steel finish, good multimedia capabilities and really easy to use. Nokia 6300i review - The 6300i is an enhanced version of the now classic 6300 phone. This is an elegant slimline phone with excellent ease of use. Nokia 6301 review - The 6301 is an enhanced version of the now classic 6300 phone. This is an elegant slimline phone finished in stainless steel, and with excellent ease of use. Nokia 6303 Classic review - The 6303 Classic is a modern reworking of the classic Nokia 6300. It's a no-nonsense easy-to-use handset with an attractive stainless steel finish. Nokia 6303i Classic review - The 6303i Classic is an easy-to-use budget handset with an attractive stainless steel finish and average features. Available in Silver. Nokia 6310 review - The Nokia 6310 is the replacement for the Nokia 6210, widely regarded as a design classic. Nokia 6310i review - The Nokia 6310i adds Triband capability to the Nokia 6310, enabling it to operate worldwide. This feature, combined with the new Java applications, famous user-friendliness and features like High Speed Data, voice dialling and voice recorder make the Nokia 6310i an excellent business phone. Nokia 6500 Classic review - The 6500 Classic is Nokia's thinnest phone so far, and is a stunningly beautiful phone too, with its polished metal casing. Nokia 6500 Slide review - The Nokia 6500 Slide is a slide design 3G phone. Nokia 6510 review - A popular early Nokia phone. Nokia 6600 Fold review - The Nokia 6600 Fold is a very attractive clamshell phone. With an invisible outer display that lights up when you tap it, and an electromagnetic opening mechanism that opens the fold automatically, it's definitely not a run of the mill phone, but is a little but special. You'll find that it includes the full range of features that you'd expect: a 2 megapixel camera, 3G video calling, a stereo music player, an FM radio, Bluetooth and support for memory cards up to 4GB. Nokia 6600 Slide review - The Nokia 6600 Slide is a slide design 3G phone with an excellent 3.2 megapixel camera and a large hi-res OLED display. It offers video calling, an MP3 player, an FM radio, expandable memory and Bluetooth. You can even silence the phone just by giving it a tap. Battery life could be better, but overall this is an excellent mid-range product if you're looking for an easy-to-use phone without some of the more advanced features. Nokia 6600 review - The Nokia 6600 features a bright 65,536-colour TFT display and a camera equipped with digital zoom. Nokia 6600i Slide review - The Nokia 6600i Slide is a sleek slide phone with a high quality brushed metal finish. Battery life could be better, however, and the reliability of the phone is questionable. Nokia 6610 review - The Nokia 6610 is a good all-round phone with a colour screen, polyphonic ringtones, stereo FM radio and triple band, as well as Java games. Nokia 6610i review - A camera phone with colour display, triband, Java and polyphonic ringtones. Nokia 6630 review - The 6630 is Nokia's first 3G smartphone, built on the Series 60 Symbian operating system with a wealth of pre-installed and downloadable applications. Nokia 6650 review - A clamshell smartphone that looks smart too! The 6650 Fold offers some interesting features including a USB modem, GPS satnav, a music player, FM radio and good battery life. Nokia 6670 review - The Nokia 6670 is a series 60 smartphone that offers a broad range of functionality within a stable, well-designed platform and is highly recommended for business use. Nokia 6680 review - The Nokia 6680 is an upgrade of the 6630, which was Nokia's first 3G smartphone. Nokia 6681 review - The Nokia 6681 smart phone is very similar to the successful and highly-rated Nokia 6680, except that the 6681 does not have the 3G functionality of the 6680. The phones are the same in most other respects. Nokia 6700 Classic review - The 6700 Classic has smart looks, a quality metal finish and a high specification, and has been one of Nokia's biggest selling mid-range phones in the second half of 2009. Top features include a-GPS, a 5 megapixel camera with autofocus and flash, a music player, an FM radio with RDS, Bluetooth, HSPA and a memory card. But it isn't a reliable phone. Things to watch out for include freezing / shutting down and breakable screens. Nokia 6700 Slide review - The Nokia 6700 Slide is a slide phone with an impressive camera, fast 3G HSDPA connection and the power of the Symbian smartphone operating system. But we feel that its power is limited by the small screen size, lack of touchscreen operation, small memory and poor battery life. We also have doubts about the long-term reliability of the phone. Available in Silver or Pink. Nokia 6800 review - Messaging reaches new levels of ease and efficiency with the Nokia 6800 phone. This unique 2-in-1 product has been especially designed for easy text input and quick access to text-based applications, using the integrated full keyboard. Nokia 6820 review - The Nokia 6820 is the size of an ordinary phone. But it's bigger on the inside, with a full messaging keyboard. Nokia 6822 review - The Nokia 6822 is based on the previous 6820 model, and incorporates the same fold-out keyboard design. Nokia 7200 review - The Nokia 7200 is Nokia's first clamshell phone, and is visually stunning. Nokia 7210 Supernova review - The Nokia 7210 Supernova was never fully released in the UK and we will not be reviewing it. Read the consumer reviews below for more information. Nokia 7210 review - Released in the UK in October 2002, the Nokia 7210 joins the growing ranks of colour display mobiles with polyphonic ringtones. Nokia 7250 review - The Nokia 7250 is surely Nokia's worst camera phone. Nokia 7250i review - The Nokia 7250i is an upgraded version of the Nokia 7250. Nokia 7260 review - The Art Deco inspired design of the Nokia 7260 comes with a coordinated carrying pouch and strap, revealing Nokia's intention to make this phone a fashion item. Nokia 7270 review - The Nokia 7270 is another "fashion" phone from Nokia, part of the fashion trio that includes the Nokia 7260. Nokia 7280 review - The Nokia 7280 is the third and most extreme of Nokia's trio of "fashion phones" - the other two being the Nokia 7260 and Nokia 7270. Nokia 7310 Supernova review - The Nokia 7310 Supernova was never fully released in the UK and we will not be reviewing it. Read the consumer reviews below for more information. Nokia 7360 review - The first in Nokia's L'Amour Collection, the Nokia 7360 is a beautifully crafted device, made from a combination of leather-inspired materials, etched metal, and transparent surfaces. Nokia 7370 review - The second of Nokia's L'Amour series, the 7370 is beautiful to look at, but its beauty is only skin deep. Nokia 7373 review - The Nokia 7373 is an upgraded version of the 7370 from Nokia's L'Amour series. Nokia 7380 review - The Nokia 7380 is the most eyecatching of the Nokia L'Amour Collection and is an updated version of the Nokia 7280. Nokia 7390 review - Available in Bronze Black (pictured here) and Powder Pink, the Nokia 7390 is a dramatically beautiful phone that will appeal to both men and women. Nokia 7500 Prism review - Fashion phone with 2 megapixel camera, video camera, MP3 player, FM radio, memory card & Bluetooth. Nokia 7600 review - The Nokia 7600 is Nokia's first generally available 3G handset in the UK (the 6650 was not fully released in the UK). Nokia 7610 Supernova review - The Nokia 7610 Supernova was never fully released in the UK and we will not be reviewing it. Read the consumer reviews below for more information. Nokia 7610 review - Multimedia smartphone with megapixel camera. Nokia 7650 review - The Nokia 7650 was the original multimedia smartphone, but it's looking very dated now. Nokia 7900 Prism review - A very special phone, with dazzling lighting effects and living wallpaper. The 7900 Prism has looks and exclusivity, but also comes with 3G (although there's no video calling), a 2 megapixel camera, MP3 player, FM radio and Bluetooth. It's not a phone for tech-nerds, but is design-led. It isn't cheap, and you won't see many of these on the streets. Nokia 8310 review - The Nokia 8310 replaces the very popular 8210. Nokia 8600 review - If you liked the 8800 Sirocco, you will love the 8600 Luna. Nokia 8800 Arte review - If you liked the 8800 Sirocco, you will love the 8800 Arte. Nokia 8800 Carbon Arte review - The 8800 Carbon Arte is crafted from carbon fibre, titanium, polished glass and stainless steel, and is unquestionably a stunningly beautiful phone. Nokia 8800 Sirocco review - Premium slide phone with 2 megapixel camera, video camera, MP3 player, FM radio & Bluetooth. Nokia 8800 review - Premium slide phone with 0.5 megapixel camera, video camera, MP3 player, FM radio & Bluetooth. Nokia 8910i review - An exclusive phone with stunning looks. Nokia 9210 review - A heavy-duty mobile communications device. Nokia 9210i review - Communicator with more memory and improved internet support. Nokia 9300 review - Symbian smartphone with full QWERTY keyboard. Nokia 9300i review - Smartphone with QWERTY keypad, MP3 player, memory card, Bluetooth & WLAN. Nokia 9500 review - Smartphone with QWERTY keypad, video camera, MP3 player, memory card, Bluetooth & WLAN. Nokia Asha 201 review - The Nokia Asha 201 is an entry-level messaging phone designed for texting and social networking. We like its QWERTY keyboard, music player, FM radio with recording facility and strong battery life. It's a shame that both 3G and Wi-Fi are missing though. Nokia Asha 210 review - The Nokia Asha 210 is a cheap but practical messaging phone with its QWERTY keyboard and dedicated Facebook key plus built-in Wi-Fi. Nokia Asha 302 review - The Nokia Asha 302 is a budget phone designed for messaging and social networking. Its key features are its QWERTY keyboard, facebook and whatsapp (instant messaging) apps, Wi-Fi and 3G HSPA connectivity. A fast processor and premium styling make it a great phone all round. Nokia Asha 503 review - The Nokia Asha 503 is a fun, low-cost alternative to a smartphone. Pocket-sized, with a touchscreen interface and built-in messaging, this could be a good phone for teens. Nokia C1-01 review - The C1-01 is Nokia's entry-level offering, and is very much an old-style phone. 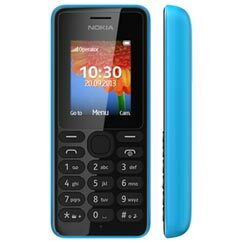 If you want a very cheap mobile that makes calls, sends texts, plays music via MP3 or FM radio and has great battery life, you'll find it here. Nokia C2-01 review - The C2-01 s a minimum-spec phone that does little more than the basics. Available in Black or Silver. Nokia C2-02 review - The C2-02 is a touch-and-type phone with a slide out keypad and a touchscreen. Combining the best of both worlds is a good concept, but the implementation is poor, with a small resistive screen making the user interface hard work. Nokia C3 review - The Nokia C3 is a cut-price BlackBerry lookalike, and that's no bad thing! Nokia C3-01 review - The Nokia C3-01 Touch and Type is a slimline phone with an alphanumeric keypad plus a small touchscreen. Nokia C5-03 review - The C5-03 is another uninspired Nokia smartphone running the old Symbian operating system. With its unresponsive resistive touchscreen, poor camera with fixed focus, no flash and lack of adequate memory, it serves as a sad example of everything that's gone wrong with Nokia. Nokia C6-00 review - The Nokia C6-00 offers many useful features, including a slide-out keyboard, assisted GPS, Wi-Fi and fast 3G internet access. But we feel that it's an uninspired design let down by a poor operating system. Available in Black and White. Nokia C6-01 review - The Nokia C6-01 is a mid-range Symbian^3 smartphone with a 3.2 inch capacitive touchscreen. Nokia C7 review - The Nokia C7 runs the latest Symbian^3 smartphone operating system and offers a lot for your money. Nokia Comes With Music review - Nokia Comes With Music gives you a whole year of free unlimited music downloads that you can keep forever! Nokia E5 review - The Nokia E5 is a business phone with an excellent QWERTY keyboard and full email support. 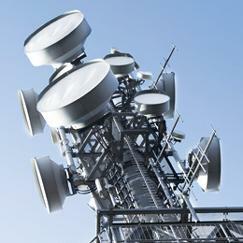 But watch out for freezing, switching off and loss of signal. Nokia E50 review - Smartphone with 1.3 megapixel camera, video camera, MP3 player, memory card & Bluetooth. Nokia E51 review - The Nokia E51 is a powerful communications device equipped with email, a wealth of organiser applications, web browser, camera and media player. It's also a slimline and lightweight phone that looks good and is very easy to use. Nokia E6 review - The Nokia E6 is a high-end smartphone with a QWERTY keyboard and a touchscreen user interface, running Symbian Anna. Nokia E60 review - 3G smartphone with MP3 player, memory card, Bluetooth & WLAN. Nokia E63 review - The Nokia E63 is arguably the company's first BlackBerry-beater. With full support for push email, attachment editing and web browsing, an absolutely superb QWERTY keyboard, WLAN and 3G support, it meets the full needs of the business user. Nokia E65 review - 3G smartphone with 2 megapixel camera, MP3 player, memory card, Bluetooth & WLAN. Nokia E66 review - The E66 was never fully released in the UK and we will not be reviewing it. Nokia E7 review - The Nokia E7 is a powerful smartphone with a large 4 inch screen and a full-sized QWERTY keyboard, making it a good choice for email and texting. There are good features here including an 8 megapixel camera with HD video, a high quality media player, fast internet and 16GB memory. But it's a very large and heavy phone, with questionable battery life and dubious reliability and user-friendliness, thank to its Symbian operating system. Nokia E70 review - We will not be reviewing the Nokia E70. Please read the consumer reviews below for opinions on this phone. Nokia E71 review - The Nokia E71 is Nokia's greatest challenge to BlackBerry yet. With full support for push email, attachment editing and web browsing, Nokia have definitely parked their tanks on the BlackBerry lawn. Nokia E72 review - The Nokia E72 is a competitor to the BlackBerry Bold 9700 or Curve 3G. With full support for push email, attachment editing and web browsing, Nokia offers a real alternative. The E72 also features a 5 megapixel camera, video calling, a media player, FM radio and GPS with Ovi Maps. Ultra-fast data access, WiFi, and stunning battery life complete the package. It's available in a choice of Black, Grey, Brown or White. Nokia E75 review - The Nokia E75 is usable as a normal phone with a keypad, or with its slide-out QWERTY keyboard in landscape mode. Nokia Lumia 1020 review - The Nokia Lumia 1020 brings an insane 41 megapixels of camera to the smartphone arena. It's a very expensive phone though, and certainly won't be to everyone's taste. Nokia Lumia 1320 review - An affordable Windows Phone 8 phablet with an enormous 6 inch screen, but a modest price tag. The Lumia 1320 is a well-built device with a good featureset and plenty of bundled software. Only the large bulk and weight distract from its appeal. Nokia Lumia 1520 review - While Android smartphones have been breaking the 5 inch and even 6 inch screen-size barriers for some time, Windows Phone devices have been stuck at the 4.5 inch mark. Not any more! The Nokia Lumia 1520 offers a 6 inch full HD screen, a 20 MP PureView camera and an ultrafast Qualcomm Snapdragon 800 processor too. Nokia Lumia 520 review - The Nokia Lumia 520 is an entry-level Windows Phone 8 smartphone that truly deserves to become a classic! From the class-leading IPS display to the dual-core processor and generous memory, we cannot fault this product. Nokia Lumia 530 review - The Nokia Lumia 530 is a basic Windows 8.1 smartphone. It's cheap, but doesn't have much else to recommend it. Nokia Lumia 610 review - The Nokia Lumia 610 is the cheapest Windows smartphone to date. 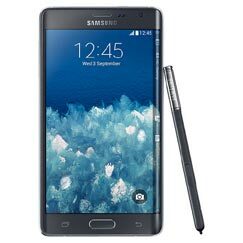 Priced to sell, it nevertheless offers a good smartphone experience, with plenty of built-in apps and good battery life. Nokia Lumia 620 review - The Lumia 620 brings the good clean fun of Windows Phone 8 to the budget smartphone sector. A well-made, compact handset with a fast processor, plenty of memory and outstanding connectivity, it delivers the smartphone essentials at a good price. The battery and the screen are a touch small, but otherwise it's perfect! Nokia Lumia 625 review - The Nokia Lumia 625 brings the benefits of a large screen and 4G to the mid-range smartphone sector, but it's a heavy handset that compromises in other areas. Nokia Lumia 630 review - The Nokia Lumia 630 is a cheap-as-chips Windows Phone 8.1 smartphone with a large screen and a quadcore processor. It's a good buy, but can't match the best Android phones in this price range. Nokia Lumia 635 review - The Nokia Lumia 635 is a budget/mid-range Windows Phone 8.1 smartphone with a large screen, a fast quadcore processor and 4G compatibility. Nokia Lumia 710 review - The Nokia Lumia 710 is a competitively-priced Windows smartphone. Unlike most budget smart phones, this one doesn't cut too many corners when it comes to hardware, so you get a top-performing smartphone for a fraction of the price. Nokia Lumia 720 review - The Nokia Lumia 720 is a mid-to-high range smartphone running Windows Phone 8. While in many respects a typical mid-ranger, the Lumia 720 over-delivers with an exceptional camera and unparalleled battery life. Nokia Lumia 735 review - The Nokia Lumia 735 is a fantastic budget/mid-range Windows Phone 8.1 smartphone. It's cheap but doesn't cut corners, and offers tremendous all-round performance. Highly recommended. Nokia Lumia 800 review - The Nokia Lumia 800 is the first phone from Finland to use the Windows Mango operating system. It's a very capable smartphone with a premium look and feel. Nokia Lumia 820 review - The Nokia Lumia 820 is a 4G Windows Phone 8 smart phone. Good looking with a range of changeable covers, the 820 has a big 4.3 inch display, a fast dual-core processor, a great camera and the bonus of wireless charging. Nokia Lumia 830 review - The Nokia Lumia 830 offers premium styling and a super camera for around the �300 mark. But all-round performance is no better than average for a phone costing this much. Nokia Lumia 900 review - The Nokia Lumia 900 looks and feels like a flagship product, with its distinctive polycarbonate design and its big 4.3 inch screen. Running Windows Phone 7.5, the Lumia does everything that a smartphone should, and has a great camera too. It's a heavy phone though. Nokia Lumia 920 review - The Nokia Lumia 920 sets a new standard for Windows Phone smartphones. Running Windows Phone 8, highlights of the 920 include an 8.7 megapixel PureView camera, wireless charging, a HD+ display, a dual-core processor and NFC wireless connectivity. Drool! 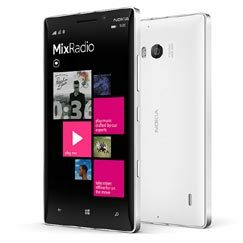 Nokia Lumia 925 review - The Nokia Lumia 925 is the first Windows Phone 8 superphone, with an 8.7 megapixel PureView camera, a HD+ AMOLED display, and a premium design aluminium body. Nokia N-Gage review - Is it a phone or a games console? Available in time for Christmas 2003, the Nokia N-Gage offers both! Nokia N70 review - The Nokia N70 is the first of the Nokia Nseries smartphones to be released in the UK. Nokia N71 review - The Nokia N71 is a 3G SmartPhone in a clamshell format. Nokia N72 review - The Nokia N72 is an updated version of the Nokia N70, but without the 3G functionality. Nokia N73 review - A high-spec 3G smartphone with a fantastic camera, music player, FM radio, video calling and loads of memory. Compact and lightweight for a Symbian phone, the N73 brings smartphone technology into the mainstream. Early versions of the firmware were problematic, but the latest phones seem to be much more reliable. Nokia N76 review - We won't be reviewing the N76. 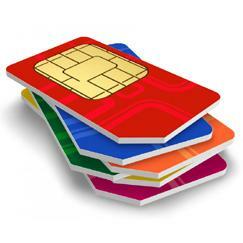 Vodafone withdrew the phone from sale because so many were returned. It's not one that we can recommend and it's fast disappearing from the shops - even before it properly arrived! Nokia N77 review - The N77 was never fully released in the UK and we will not be reviewing it. Nokia N78 review - 3.5G smartphone with GPS satnav, 3.2 megapixel camera, video calling, MP3 player, FM radio, memory card & Bluetooth. Nokia N79 review - Ooh yes. This is an Nseries phone that we like. For roughly half the cost of a Nokia N96, you get nearly all of the features, but few of the problems. Nokia N8 review - The Nokia N8 is the best Nokia we've seen yet, with the latest Symbian^3 smartphone operating system and an amazing 12 megapixel camera with xenon flash and HD video recording. With a responsive touchscreen with pinch-and-zoom capability, GPS with free navigation software and maps, 16GB of onboard memory and great battery life, it's a strong all-rounder. Nokia N80 review - Probably the most highly anticipated of the new N series phones, the N80 is also the one that most fails to live up to expectations. Nokia N81 review - 3G smartphone with 2 megapixel camera, video calling, MP3 player, FM radio, 8 Gbytes memory, Bluetooth & WLAN. Nokia N82 review - 3.5G smartphone with GPS satnav, 5 megapixel camera with autofocus, video calling, MP3 player, FM radio, memory card & Bluetooth. Nokia N85 review - 3.5G smartphone with GPS satnav, 5 megapixel camera with autofocus, video calling, MP3 player, FM radio, memory card, Bluetooth & WiFi. Nokia N86 review - The Nokia N86 is Nokia's first phone to feature an 8 megapixel camera. But really, what an ugly phone it is! Still, it's a high-spec phone with features such as GPS navigation, 8GB memory, WiFi and HSDPA. But let down by a poor keypad, high weight and questionable reliability. Nokia N90 review - The Nokia N90 is designed to offer the best imaging capabilities on the market. It's a Series 60 Symbian smartphone with full 3G functionality, including video calling and fast downloads. Its key selling points are its camera and camcorder functions. Nokia N900 review - The Nokia N900 features the new Linux-based Maemo operating system and is more of an internet tablet than a phone. Nokia N91 review - The Nokia N91 is the third N-Series phone to be released, and is designed to be a combined phone & music player. Nokia N93 review - The Nokia N93 is a 3G SmartPhone with outstanding photographic capabilities, a great music player and all the bells and whistles that you can imagine. Nokia N93i review - The best imaging smartphone currently available (yes, even better than the Nokia N95). Nokia N95 review - The most technically advanced smartphone ever! Complete with satellite navigation, a 5 megapixel camera with autofocus, 3G video calling, and every other gadget you can think of! But is it too clever for its own good? Nokia N96 review - Nokia's N95 just got upgraded! Complete with 16 GB built-in memory, GPS satellite navigation, a 5 megapixel camera with autofocus, 3G video calling, and every other gadget you can think of! On the downside it's large, battery life is poor, and the Symbian operating system is still not 100% reliable. Nokia N97 Mini review - The N97 Mini is a lite version of the N97 smartphone. Nokia N97 review - Available in Black or White, the N97 is more a mobile computer than a mobile phone. Packed with every imaginable feature, Nokia's designers have succeeded in creating a device that is supremely powerful yet easy to use, with a user-friendly touchscreen and a slide-out QWERTY keyboard. With music, video, photos, email, web and downloadable apps all easily accessible from the customisable home page, the N97 delivers everything that we could ask for on the move. However, it's big, heavy and expensive, and has the usual freezing/crashing problems that come with NSeries phones. Nokia X3 review - The Nokia X3 is an inexpensive slide-design music phone. It has a good music player, FM radio, memory card slot, 3.5mm headphone jack and stereo speakers. It also comes with a 3.2 megapixel camera and has good battery life, but is let down by a poor quality keypad and is well over-priced for what you get. Nokia X3-02 review - The Nokia X3-02 Touch and Type is a new style of phone with both a touchscreen and an alphanumeric keypad. Although it's a resistive touchscreen and quite small (for a touchscreen), it's certainly a lot better than not having one, and we think that it's a real asset. The X3-02 is incredibly lightweight and thin too, and will slide into the smallest pocket with ease. Yet it manages to pack in a fully featured music player and radio, lightning fast internet access and Wi-Fi. The camera's average and we'd have liked more memory, but overall the X3-02 gives you a lot for your money. Nokia X6 review - Nokia's first Xseries phone is an upmarket touchscreen smartphone with a compact design. Its star features include a superbly responsive capacitive touchscreen, 32GB of memory, an impressive 5 megapixel camera with Carl Zeiss optics, video calling, A-GPS, HSDPA, WiFi, a 3.5mm audio jack and outstanding battery performance. It's not cheap, but quality never is! Available in Black or Pink. Nokia X7 review - Running the Symbian Anna operating system, which isn't our favourite and is destined to be dumped by Nokia, the X7 suffers from a low screen resolution, slow processor, inadequate memory, a mediocre camera and an average battery.